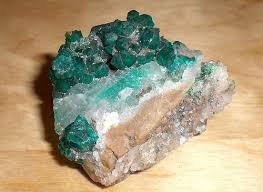 Yorke Peninsula Gem & Mineral Club Inc.
Are you interested in gems, minerals, rocks, fossils or jewellery making? Learn how to find, collect, study and identify rocks and minerals, and how to cut and polish rocks and gemstones, as well as faceting and silversmithing. Become a member and join in meetings on the second Wednesday of each month except January. Members can receive instruction and have the use of the club’s equipment at regular workshop sessions. Meetings are held at 1936 Military Road, Moonta. The workshop starts at 2:30pm, followed by a BBQ tea at 6pm and the meeting at 7.00pm. Field trips are made to locations of interest. Books and magazines on the hobby are available on loan to members. Come and join this friendly group of men and women and share the most interesting of hobbies. or Sec 1936 Military Road, Moonta, SA 5558.